I don't have any kids to collect candy....though my friends understand that they are to collect and redistribute any boxes of Dots to me on the day after Halloween. BUT....I do have a ton of trick or treaters that swing by my house on Halloween. And...you know what happens if you run out of candy? 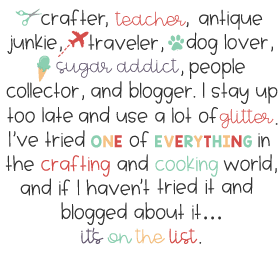 Tricks! So....I buy a lot of candy....which means that if I don't meet my Halloween trick or treater quota...I have a lot of candy. I've found if I can disguise it in a more 'elegant' dessert form I can usually foist it off on people at work So I give to you-the Butterfinger Bar...so good that I can assure you....that bag of butter fingers will be used only in the case of emergency b/c I want to make this puppy when the evening festivities are over! 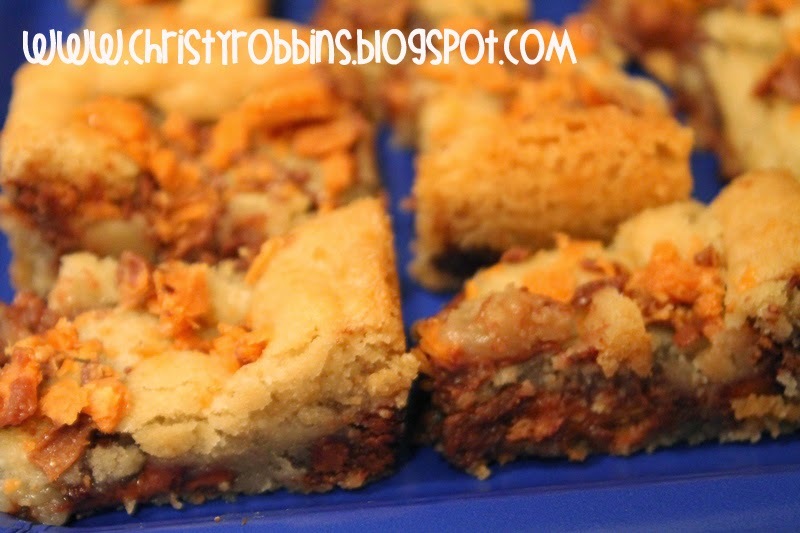 I found the recipe here, and I changed it a bit to suit my fun size bars of candy. Ingredients: 16.5 oz pkg of refridgerated sugar cookie dough at room temperature and broken into pieces, 8 fun size hershey bars coursely chopped, 20 butterfinger fun size bars (or 7 whole bars)-this is basically one pkg of the pass out candy, with two to eat while you make your dessert. Instructions: Heat oven to 350. Grease a 8x8 pan. Mix the cookie dough and Hershey pieces. Press half of your mix into the bottom of the pan. Reserve 3 fun size bars (or 1 full size bar). 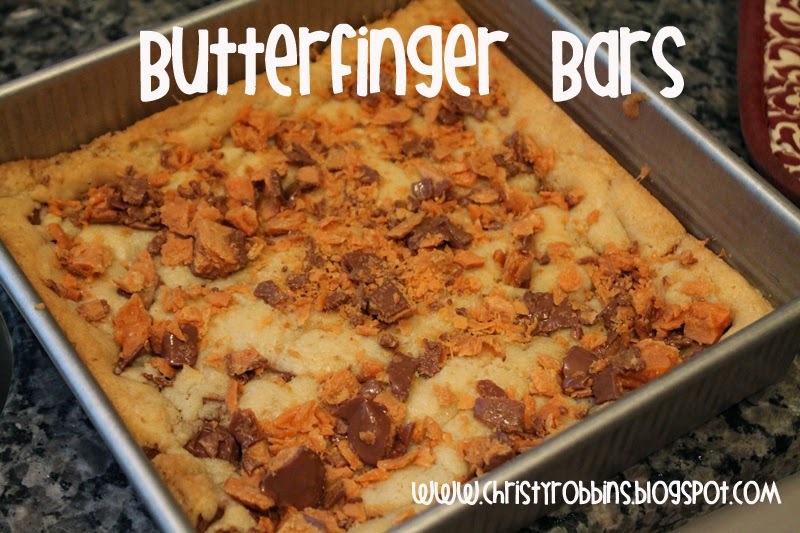 Line up the rest of your butter finger bars across the dough. Top with the remainder of your batter. It won't totally cover your bars, that's fine. Crush the remaining three fun size bars and set aside. Bake your dessert for about 20 minutes (until dough is cooked). Remove and top with the crushed bars. Let it cool COMPLETELY. Slice and serve.